The kindergarten teacher who was arrested after she allegedly drove to Mary J. Tanner School drunk will return to the classroom. 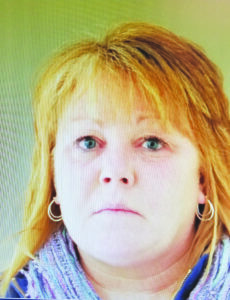 Kim Grover, 48, was charged with driving while intoxicated, first offense, and driving with a blood alcohol content of more than .08 percent, the legal limit in New York State, after School Resource Officer David Williams witnessed her drive into the Middle Granville school’s parking lot and attempt to enter the school. Williams observed Grover, of Fort Edward, “walking with a stagger” toward the school’s north entrance just after 7:30 a.m. on March 27. As she passed by him, he “detected an odor of alcoholic beverages emanating from her,” he wrote in the police report. A breathalyzer test confirmed Grover had a .157 percent blood alcohol content, which is nearly two-times the legal limit in New York State. Should Whitehall retain its police department?